1 What are the benefits of logging in? Open the content area. By logging in, you can restore all of your previous information, even after you have changed your device or phone number. 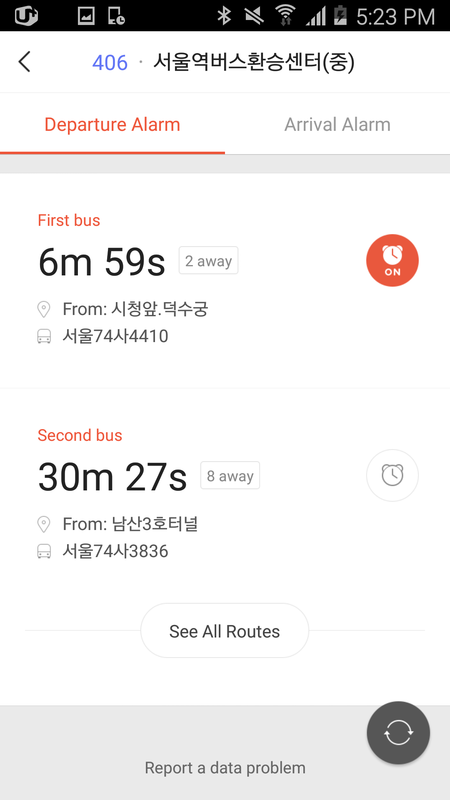 * Settings related to the features above will be saved to your Kakao Bus account. 2 What is a 'Departure Alarm'? Open the content area. The departure alarm lets you know when your bus will arrive. Select a Bus Stop and tap the Alarm button. From the Departure tab, tap the alarm button once again. * You can only set one departure alarm at a time. * The alarm may not go off at the exact time due to communication errors or traffic conditions. 3 What is an 'Arrival Alarm'? Open the content area. The arrival alarm lets you know when you should get off. Select a Bus Stop and tap the Alarm button. 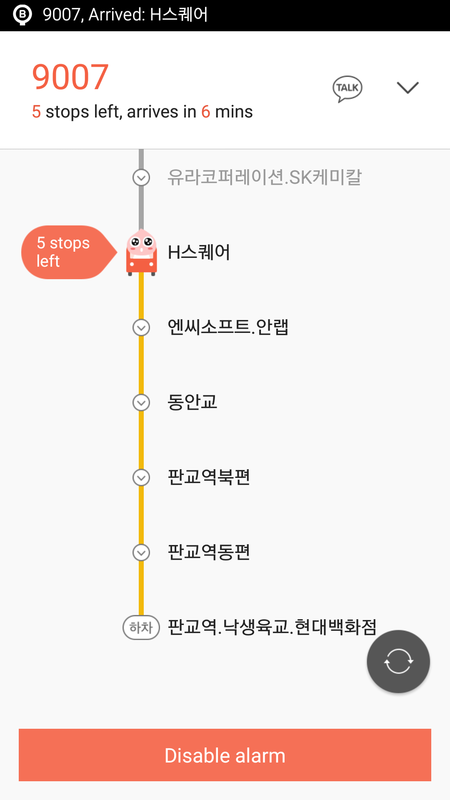 From the Arrival tab, tap the alarm button right next to the bus top you want to get off at. * You can only set one arrival alarm at a time. * The arrival alarm uses GPS information. Go to your device settings and enable location services.